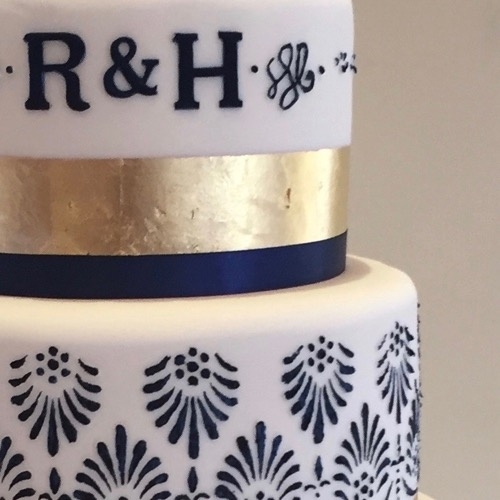 5” 7” & 9” round tiers. 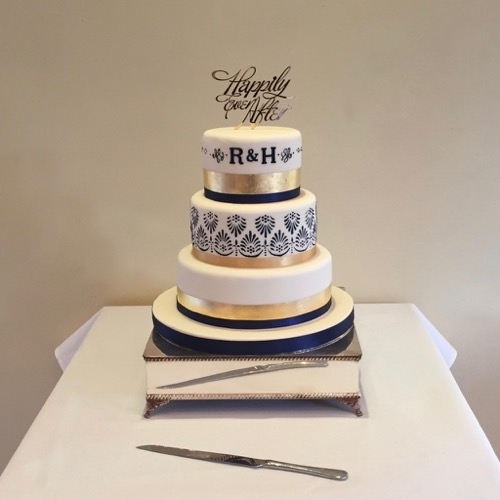 Royal icing stencil design, hand painted with edible navy paint. 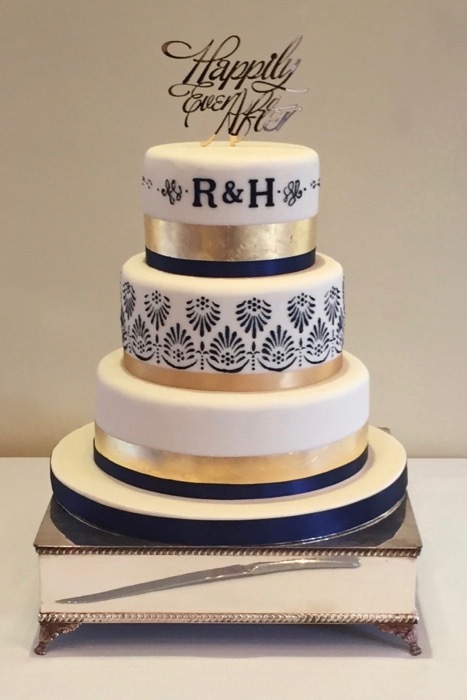 24ct edible gold leaf and royal iced monogram.